/ Modified jul 27, 2018 10:41 a.m.
An aerial view of the Santa Cruz River near Marana. 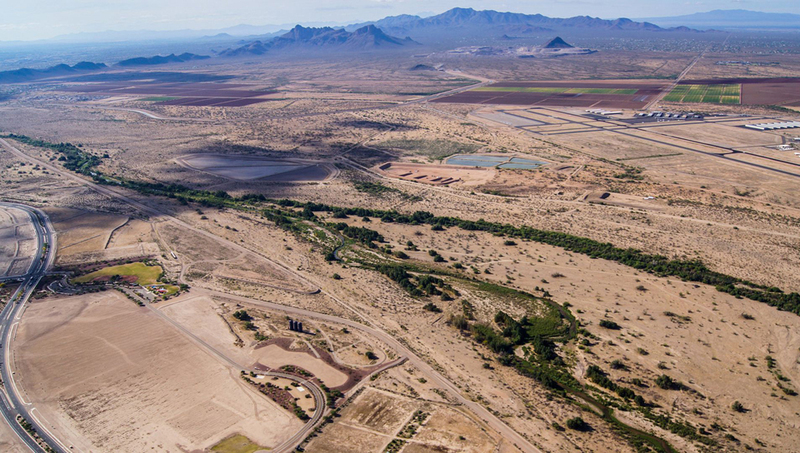 PHOENIX — Arizona may take over responsibility for issuing dredge-and-fill permits under the Clean Water Act, a task long handled by the federal government. "We think that the program should stay with the Army Corps of Engineers and that the state should focus on doing the best job possible with the programs that it has," said Sandy Bahr, director of the Sierra Club's Arizona chapter. Bahr and 12 other representatives of environmental groups gave their concerns about the proposal to the state Department of Environmental Quality in a letter earlier this month. They noted the state legislation, which was signed by Republican Gov. Doug Ducey in April, doesn't require the state to take on the permit program known as Section 404. "Of grave concern is the possible outcome that because ADEQ intends to fund the program through permitting fees, the agency will become motivated to quickly issue permits that would otherwise require careful consideration," they wrote. The department welcomes the feedback and the stakeholder involvement on the proposal, said Misael Cabrera, the agency's director. The Environmental Protection Agency would need to approve the state program design before it could be implemented, he said. "The reason why we want to explore it and pursue it is because we think that we can deliver the same environmental protection to waters of the U.S. as the federal government can, but we can do it faster and better," Cabrera said.